Eradication of damaging rats aimed at protecting incredible bird, plant, and marine diversity. The operation was executed as planned—successfully, safely, and under the close watch of regulators from the Hawai`i Department of Agriculture and an independent monitoring team from the US Department of Agriculture. Our teams applied the first of three rounds of conservation bait to Lehua Island today by helicopter with supplemental applications by hand. About 99.995 percent of the bait used is comprised of non-toxic, human food-grade ingredients made to attract rats. The remaining fraction is diphacinone, a first-generation anticoagulant rodenticide. Despite the low risk, the operation is using proven strategies to avoid, minimize, and mitigate risks whenever possible. All bait is distributed over land with deflectors in place when baiting adjacent to the shoreline to direct it inland. A safe, careful, by-the-book operation, together with the downstream conservation outcomes of this project in coming years, will provide the proof-of-concept the community is seeking for this important conservation intervention. Two additional applications of rodenticide are planned in the next few weeks depending on weather conditions. Other project supporters include the Ni’hau Ranch, the Robinson family, the native Hawaiian community, local residents, US Coast Guard, Kaua‘i Endangered Seabird Recovery Project, National Tropical Botanical Garden, Pacific Rim Conservation, National Fish and Wildlife Foundation, Bell Laboratories, The David and Lucile Packard Foundation, Atherton Family Foundation, and Moore Family Foundation. 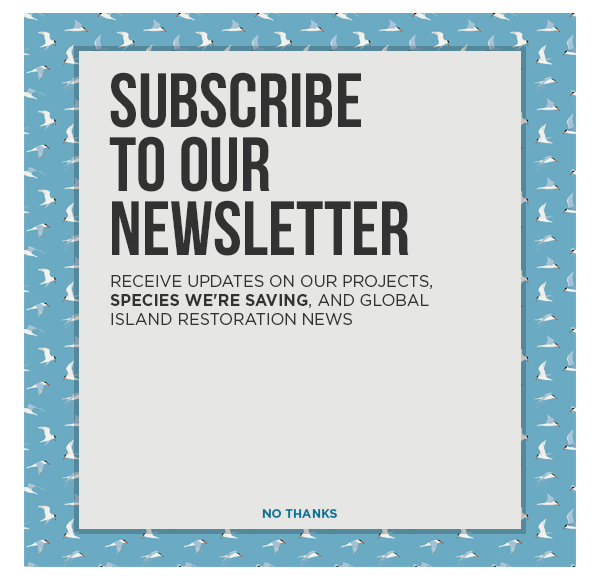 The partners and supporters especially acknowledge the contribution of the Robinson Family and the people of Ni‘ihau in helping to evaluate this restoration opportunity.